Giving Back: Why I’ve decided to be a bone marrow donor? Right after watching the video I headed out to a local drive that I found through Be the Match but unfortunately the drive ended before I was able to get there. 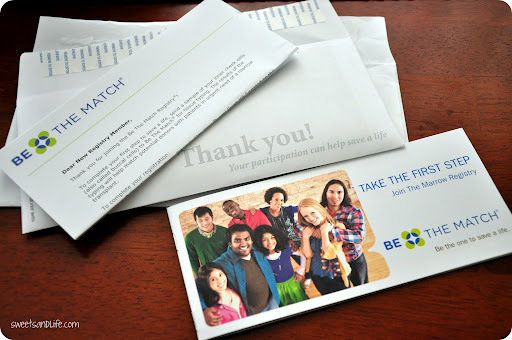 I ended up ordering a kit from Be the Match which I received about two weeks later and today I will be sending it off. Both my parents and the hubby have their reservations about me become a donor but when I began to explain to them why I was doing it they felt more at ease. The kit comes with great instructions and it is very easy to use. 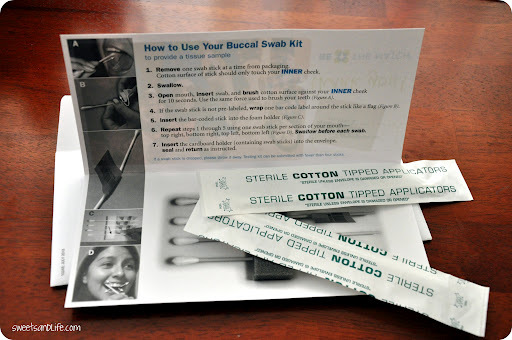 All you have to do is swab the inside of your cheek four times and send it back. It takes about two months to process everything and that’s it. Once you have registered you will be in a system and if they ever find a match they will call you up. I’ve decided to share this story with all of you guys since I believe that the more people hear about it the more people might actually go register. I believe we are all connected to each other and we need to stop being so selfish. If you can’t or don’t want to go register then share this with everyone you know someone might be touched enough to go do the same thing. I got an email a couple of weeks ago saying they finally received my kit. It will take about a couple of months to put me in the system.